Health Data Research UK (HDR UK) is delighted to announce the formation of a new Public Advisory Board to provide advice on the delivery of the its mission, principles and future strategy, with particular emphasis on ensuring that health data is used responsibly for research and innovation. This is one part of a wider plan for inclusive patient and public involvement and engagement in our work across HDR UK. The Board members, who met for the first time in earlier this month, bring diverse experience, understanding and skills to HDR UK and will be expected to reflect on further growth of the Public Advisory Board. Sarah is a commercial lawyer and independent consultant with considerable experience advising both public and private sectors. 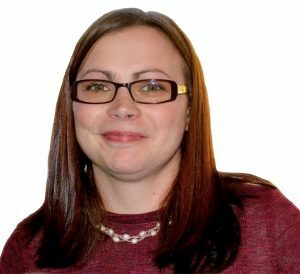 She worked for the Department of Health and Social Care (DHSC) for over a decade, providing strategic procurement advice and commercial assurance on IT and medical equipment issues. More recently, Sarah has worked for PricewaterhouseCoopers and Hill Dickinson LLP support teams advising central government in the UK and overseas. Sarah is a regular user of NHS services due to her own long-term condition and as a result of being a mother of 3 children. She has a keen interest in the ethical use of personal data in the face of increased use of artificial intelligence in the delivery of public services. Claire has Usher Syndrome type 2, a genetic condition causing hearing loss from birth as well as progressive sight loss in her late teens due to Retinitis Pigmentosa, leaving her now deafblind. She is a participant in the 100,000 Genomes Project and has had various genetic testing and counselling. She brings an understanding of genetic data as well as personal interest. She was a carer for her mother who battled breast cancer over 8 years, something that taught her a lot about the hospital care system and recognising the importance of patient and family inclusion in all aspects of treatments and care. Claire’s official role with guide dogs is ‘Volunteer Community Fundraising Administrator’, whom she has worked with for 5 years, and she has done various campaigns, as well as public engagements with the media, and continues to do so. Claire is a mother, wife, guide dog owner to Minnie, and has taken part in a number of endurance and adrenaline events including the Tough Mudder in 2014 and a skydive in 2015 in aid of the Molly Watt Trust – raising money for assistive technology that can enhance the life of somebody living with Usher Syndrome (deafblindness) while raising awareness and supporting research into Usher Syndrome. 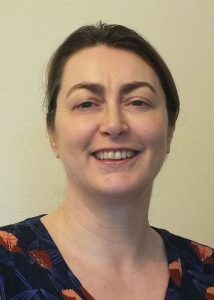 Angela Coulter is a UK-based health policy analyst and researcher, with special interests in patient and public involvement. A social scientist by training, she has higher degrees in health services research from the University of London and the University of Oxford. 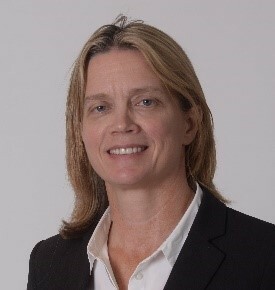 Now freelance and still involved in research, her previous roles include Chief Executive of Picker Institute Europe, Director of Policy and Development at the King’s Fund, Director of the Health Services Research Unit at the University of Oxford and Director of Global Initiatives at the Informed Medical Decisions Foundation. 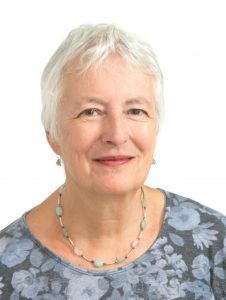 She is an Associate Member of the Health Services Research Unit at the University of Oxford, Honorary Professor at the University of Southern Denmark, an Honorary Fellow of the Royal College of General Practitioners and a Non-Executive Director of the National Institute for Health and Care Excellence (NICE). Ben is an academic publishing professional and community campaigner. A scientist by training, he carried out infectious disease research at Public Health England, the University of Reading, and Imperial College London, before a career change took him to scientific publisher, BioMed Central, where he launched new open access journals. 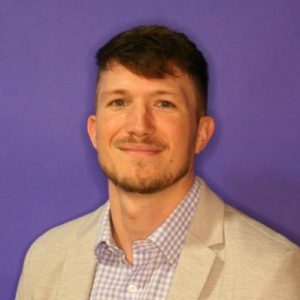 He is currently Head of Communities and Engagement at Springer Nature, where he leads on engaging with researchers and the public through online communities and blogs. He is a warden and trustee of United St Saviour’s Charity, which runs almshouses for older people, and sits on their community investment committee, which distributes grants to community groups and charities. He is a former Councillor in Southwark, where he was the opposition housing spokesman, and sat on the planning committee and the scrutiny committee. He is passionate about effective community engagement and protecting civil liberties while supporting new technological advances. Kush is a social entrepreneur who has developed a portfolio career helping a number of charities, social enterprises and non-profit organisations, with a particular focus upon disability, technology and healthcare. He was a torch bearer at the London 2012 Paralympic Games and was selected in Parliament among the top 10 most influential BAME (Black, Asian, Minority Ethnic) leaders in technology in 2018. 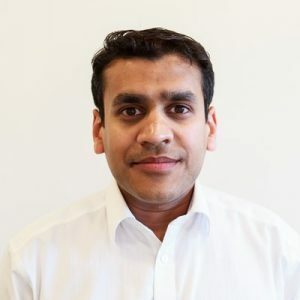 Kush is a Trustee for AbilityNet, a charity which focuses on making technology accessible for disabled and older people, and their corporate trustees include Microsoft and IBM. Moreover, he is an advisor to the world’s first Global Disability Innovation Hub, which is part of the London 2012 Paralympic Games legacy. Kush is also a Patient Governor of Chelsea Westminster Hospital NHS Foundation Trust. He was previously a delivery improvement and transformational change consultant for the NHS and completed the first Intersect Systems Leadership Programme by the NHS Leadership Academy. In addition, Kush is an ambassador for Disability Rights UK and a director at the Centre for Accessible Football in Europe. He has been a regular user of the NHS since childhood and is only able to walk today due to the NHS and innovations in technology and healthcare. Rachel is a mother, volunteer, practitioner and staff member at NCT (the National Childbirth Trust). As their Research Engagement Officer, Rachel manages research collaborations and support parent representatives in research and maternity services co-production. She volunteers at her local Baby Cafe, Maternity Voices Partnership and various NCT events to find out about new and expectant parents’ experiences and priorities. Rachel has an interest in transparency around commercial involvement in research and information gathering, and lay involvement in data management and ethics boards. 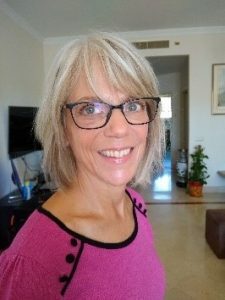 Margaret brings a wealth of varied health-related experience. Moving from a cancer and palliative care nursing career in the USA, she obtained a Master’s in Public Health from John Hopkins University. Margaret’s first role in England was as a researcher in a regional Public Health Directorate. Whilst at Cambridge University she obtained a PhD (doctor-patient communication in hospital-based cancer care) and continued to conduct health services research in the primary care setting until joining the regional charity, East Anglia’s Children’s Hospices, first as a researcher and then as Director of Education, Training and Research. This led to a move to Manchester University as a lecturer in supportive and palliative care, where she combined her cancer research and experience with terminally ill children and led the Health Services Research Working Party of the National Cancer Research Institute Teenage and Young Adults with Cancer Clinical Studies Development Group. She is a health service user, mother of two junior doctors and a senior policy manager at the General Medical Council. She is particularly interested in the challenge of engaging those who have helped to create potentially invaluable health data whilst engendering their trust and confidence. Pete is an experienced Patient and Public Advocate who works on research programmes with many UK cancer charities, universities and a Biomedical Research Centre. He has a special interest in individual choice, freedom and privacy in the sharing of healthcare data to improve patient treatments and outcomes. 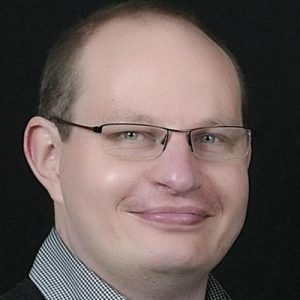 Pete has an extensive background in IT having worked on many major data migration, data quality and business transformation programmes with global financial services companies for over 20 years. Colin is the vice-chair of Versus Arthritis’ Patient Insight Network and the patient member of their Advisory Group on Pain. He is also currently a member of the NICE Guideline Development Group on Chronic Pain. He has been a science communicator for 20 years, and currently chairs the judges for the Big Bang UK Young Scientist and Young Engineer of the Year Competition and the Scientific Review Committee which supports the judges in selecting the UK’s nominees to the Intel International Science and Engineering Fair. 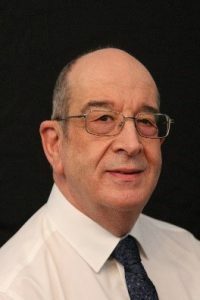 Colin also takes a keen interest in customer service issues, and until recently worked for the Consumer Council for Water as a Local Consumer Advocate, championing water and sewerage service consumers’ interests in North East England. Colin has particular interests in equal access to services and places for people with disabilities and finding better ways to harness the power of multiple disciplines to solve intractable problems.